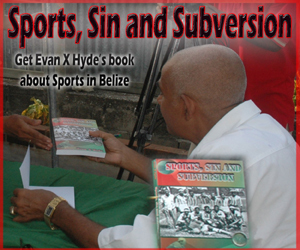 Belizean fans are paying close attention to the games of Atlanta Silverbacks in their pre-season, and will be as intently focused on their season games in the North American Soccer League (NASL), where the Atlanta Silverbacks play their Spring season opener on the road in New York this Sunday, April 13, against the NY Cosmos. 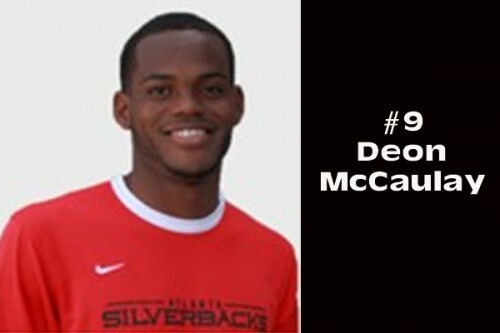 Of course, that is because our own Deon McCaulay now plays with the Silverbacks. There are 10 teams in the 2014 NASL tournament: Atlanta Silverbacks; Carolina RailHawks; FC Edmonton; Fort Lauderdale Strikers; Indy Eleven; Minnesota United FC; NY Cosmos; Ottawa Fury FC; San Antonio Scorpions; and Tampa Bay Rowdies. In their pre-season, the Atlanta Silverbacks lost 1-0 to the Charlotte Eagles on Saturday, March 15, at Atlanta Siverbacks Park; on Sunday, March 23, Deon scored the first goal, a header, in first half to lead the Silverbacks to a 3-0 win over University of Alabama-Birmingham in Birmingham; on Saturday, March 29, the Silverbacks dropped Young Harris College, 4-1, and Deon had a hat trick (3 goals) at Silverbacks Park; on Saturday, April 5, the Silverbacks drew, 2-2, with Clemson University Tigers at Silverbacks Park, as Deon’s two attempts, a header and a shot, went straight to the keeper. Deon did not play in their last pre-season outing on Sunday, April 6, where a different line-up was used for a 4-2 win over Carson Newman College at Silverbacks Park. “Just over five months after meeting in NASL Soccer Bowl 2013, the league’s championship game, the Atlanta Silverbacks and the New York Cosmos will face off again – this time in the 2014 NASL season opener. The rematch of last year’s championship game will kick off at 5 p.m. on Sunday at James M. Shuart Stadium in Hempstead, N.Y.
Sunday’s matchup will mark the third straight game the Silverbacks and Cosmos have met, as the two sides played each other exactly one week prior to the Soccer Bowl in the final regular season game last year. The Cosmos were one goal better on each occasion, topping the Silverbacks, 1-0, at Atlanta Silverbacks Park on November 2 and again by the same score line in the title game on November 9.